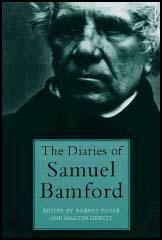 Samuel Bamford, was born on 28th February 1788 in Middleton, near Manchester. Samuel's father, Daniel, was a handloom weaver of muslin, part-time schoolteacher, and a composer of religious songs. Daniel and his wife Hannah, the daughter of a local shoemaker, were both staunch Methodists. In the early 1790s, Daniel Bamford began reading Tom Paine. After reading The Rights of Man and Age of Reason, Bamford abandoned Methodism and formed a small group of radicals who held regular meetings in Middleton. This created conflict in the town and Bamford and his small group of followers suffered considerable abuse from local people. In 1794 the Bamford family moved to Manchester where Daniel became the manager of a cotton factory. Soon after arriving in the city, Samuel's mother and his two brothers died of smallpox. Samuel began attending Manchester Grammar Free School but after his father remarried he was sent back to Middleton to live with his uncle. At the age of fourteen Samuel returned to Manchester and obtained a job sweeping the floor of a local warehouse. This was followed by work as a labourer on a farm near Prestwich. In 1805, now aged seventeen, Samuel walked to South Shields and found employment on a coal ship. Life as a sailor also failed to satisfy Samuel and he returned to Manchester and found menial work in a local warehouse. Samuel Bamford continued to educate himself and during this time he read John Milton, William Shakespeare and Robert Burns. 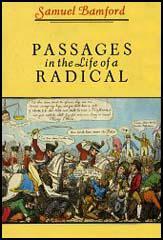 He also became interested in the books of radicals such as Tom Paine and William Cobbett. Samuel Bamford married in 1812 and soon afterwards he purchased two looms and set himself and his wife up as weavers. Bamford combined this work with writing poetry and selling books. None of these activities were very successful and the Bamfords suffered a considerable amount of poverty. Bamford became interested in John Cartwright and his campaign for parliamentary reform. In 1816 Bamford formed a Middleton branch of the Hampden Reform Club, an organisation started by Cartwright in 1812. Bamford now became very active in the campaign for universal suffrage and organised several meetings on parliamentary reform in local towns and villages. The authorities heard about Bamford's meetings and in March 1817 he was arrested and charged with treason. He was tried in London but he was acquitted on the grounds of insufficient evidence. On 16th August 1819, Samuel Bamford arranged for a large number of people from Middleton to attend the meeting at St. Peter's Field. Bamford's account of the Peterloo Massacre became one of the most important sources of evidence for historians of the event. After the massacre several men, including Bamford, were arrested and charged with "assembling with unlawful banners at an unlawful meeting for the purpose of inciting discontent". Henry Hunt was found guilty and was sent to Ilchester Gaol for two years and six months whereas Samuel Bradford, Joseph Johnson and Joseph Healey were each sentenced to one year in Lincoln Prison. After his release from prison Bamford ceased to be active in the campaign for parliamentary reform. He returned to handloom weaving but competition from local factories ment trade was poor and he attempted to supplement his income with selling poetry. In 1826 Bamford found work as the Manchester correspondent for a London newspaper. Bamford refused to join the Chartists and in the 1840s he upset local radicals by serving as a special constable at Middleton. He was also critical of his formal political friends in his autobiographical works: Passage in the Life of a Radical (1843) and Early Days (1849). Samuel Bamford died on 13th April 1872 at Harpurhey, Lancashire. (1) In his book Passage in the Life of a Radical Samuel Bamford described the procession from Middleton to Manchester on the 16th August, 1819. (2) In his book Passage in the Life of a Radical Samuel Bamford described the attack on the crowd at St. Peter's Fields on the 16th August, 1819.